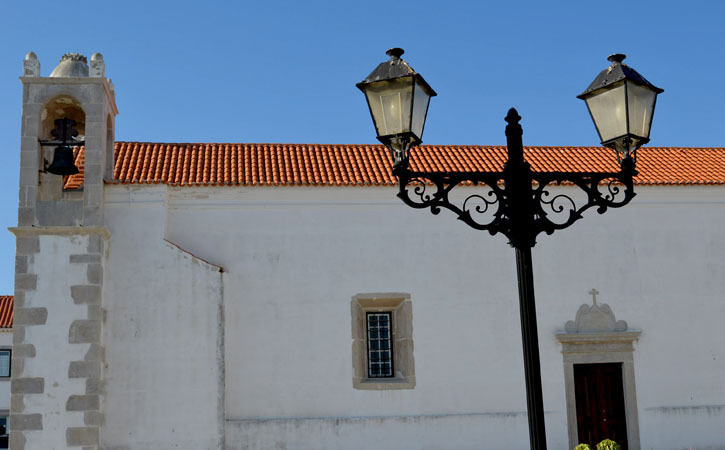 Nossa Senhora da Ajuda Church, Peniche is the oldest temple in all Peniche city. 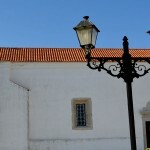 Built in the early sixteenth century, being that for itself a highlight symbol of this church. 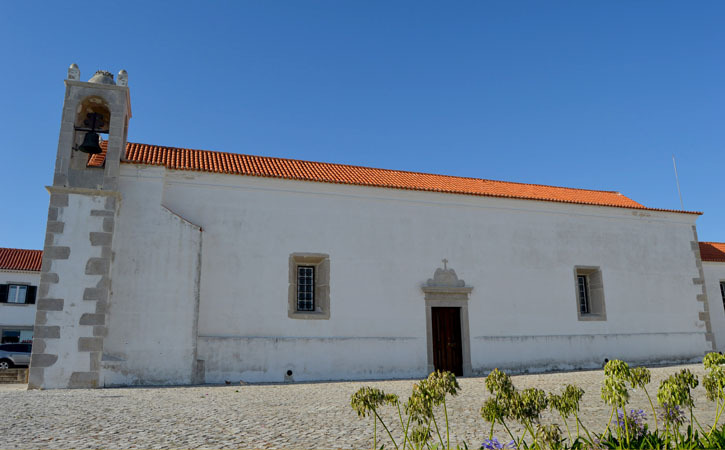 The construction of Nossa Senhora da Ajuda Church, says the legend, was due to an image of The Virgin that was found in Papoa’s cavern. 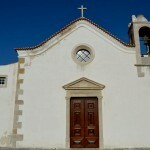 The church suffered a few interventions to conserve over the centuries aiming its space expansion. Some intervention took place in its interior with the aim to give a richer decoration to the church. Now you can see tail panels, wood sculptures and gold carving altars, all of them making an interesting impact on the outlook of the church. 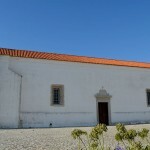 This artistic and decorative upgrade increased the church artistic relevance making it not only appellative for faith motives or pilgrimage but also from a artistic and decorative point of view. The tail panels narrate profane episodes with high quality artistic efforts. The ceiling cover by wood painted coffered also shows profane episodes with interesting artistic ability. 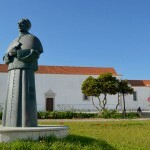 The gold carving altars from the seventeenth and eighteenth century are also a must see and there are also wood sculptures representing S. Pedro Gonçalves Telmo, São Vicente, Nossa Senhora da Piedade e Nossa Senhora da Ajuda. Both religious devotion and artistic relevance became central highlights in this church and it was later classified as Public Interest Building in 1963. 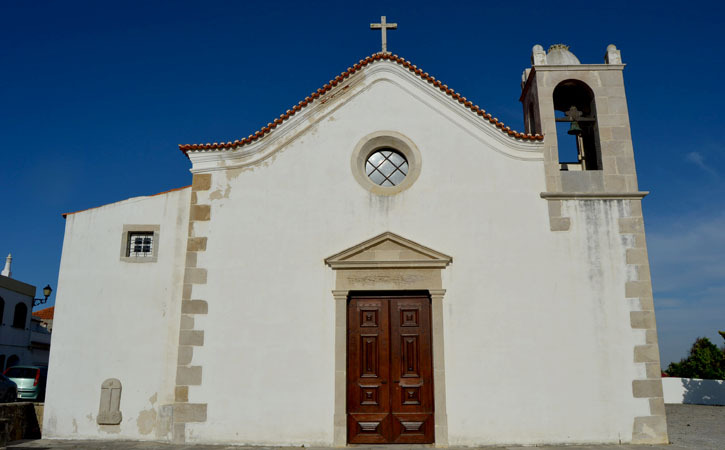 For all this reason Nossa Senhora da Ajuda Church is a central stoppage on your visit to Peniche, being this church on of the highlights of the Itinerary of the Religious Heritage of Peniche Municipality which you should not miss by any chance. It will be worth, we can assure it to you! 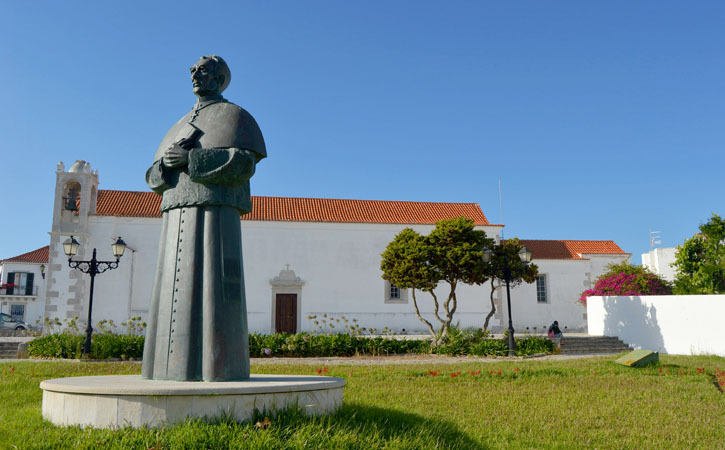 The religious ceremonies at Nossa Senhora da Ajuda Church take place every Tuesday and Saturday at 08h30 and Sundays at 09h30. Visit Peniche with us!